Happy Friday! 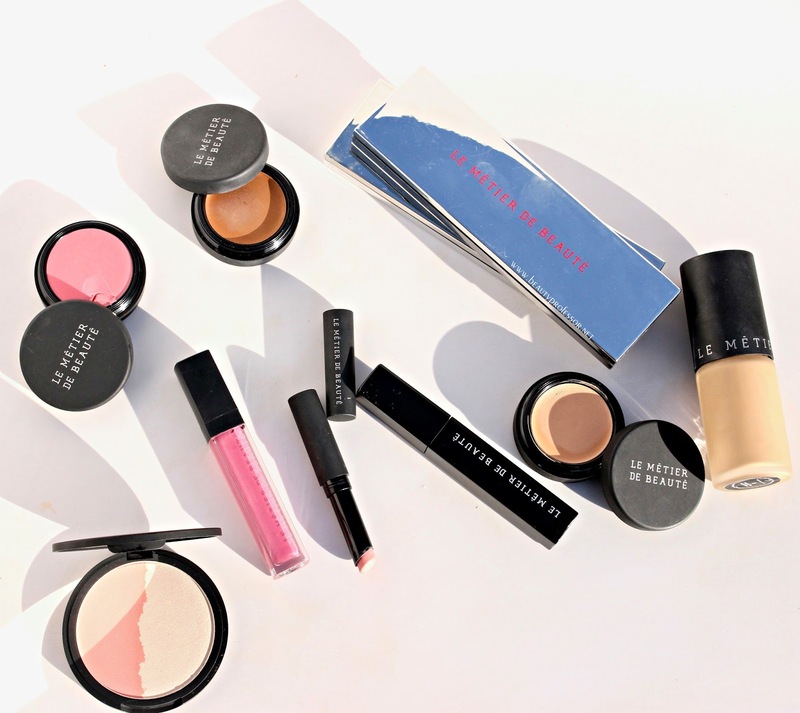 Today, I am excited to share an overview of some new springtime launches from Le Metier de Beaute--an exquisite independent beauty brand that has been near and dear to my heart for many years--as well as a full look with the products in action. Ever innovative and sophisticated, the fresh releases do not disappoint! 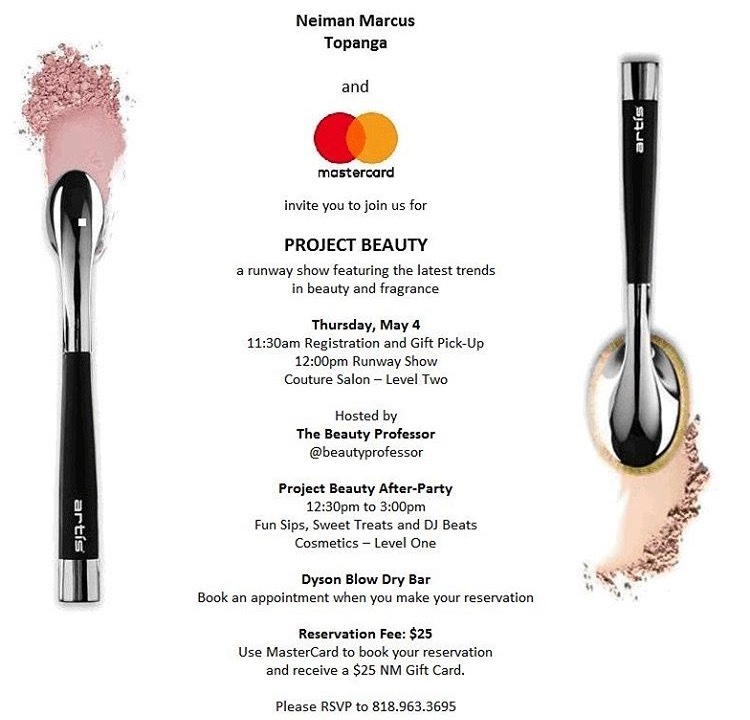 Additionally, I am hosting a beauty event at Neiman Marcus, Topanga on 5/4 and you are invited...all of the details at the end of this post. 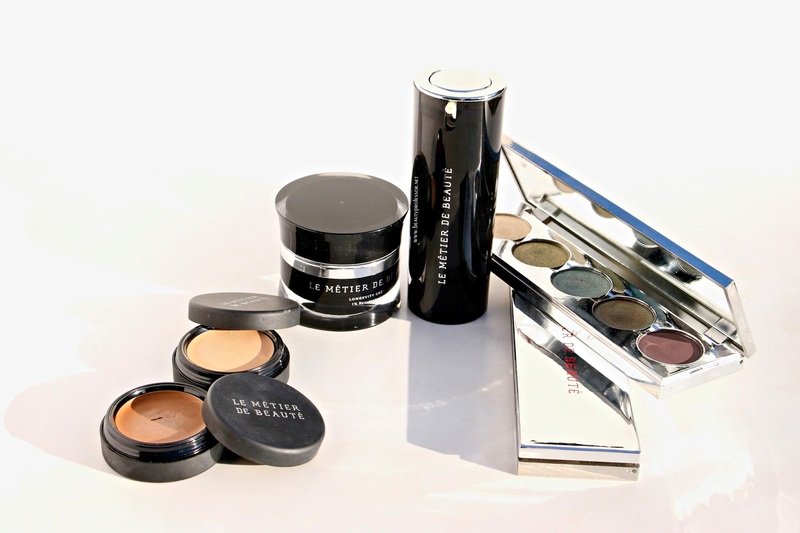 The new Le Metier de Beaute launches. // THE NEW LAUNCHES // From cutting-edge skincare and versatile cream base to two stunning eyeshadow palettes in the shades of the season, the current launches are perfectly resplendent. 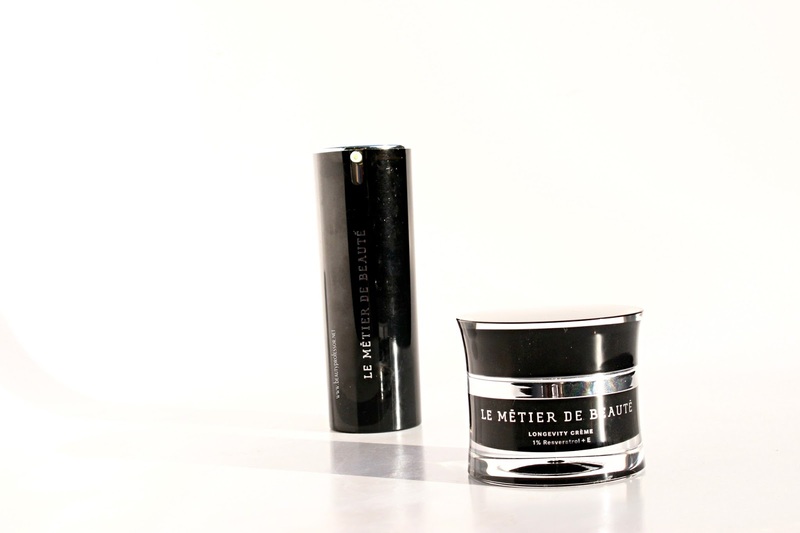 The Le Metier de Beaute Perfector and Longevity Cream. My skin has had the privilege of testing out the new *Le Metier de Beaute Perfector (reviewed HERE), which harnesses the power of encapsulated 1% Retinol to combat hyperpigmentation, smooth skin and brighten one's visage. After three weeks of use, my skin is more refined with a fresh and glowing outcome. I can't wait to keep using this! Designed to be an excellent complement to the *Le Metier de Beaute Perfector, the *Le Metier de Beaute Longevity Creme heals skin while you sleep, plumping and tightening skin while encouraging collagen production and radiance. My friends, this is a transcendent and sublime formula and my skin has never looked better; the unprecedented combination of ingredients truly contributes to observable changes in texture and clarity and, as with the Perfector, I look forward to continuing to integrate this into my skincare routine. The *Le Metier de Beaute Limited Edition Haute Metals Palettes (comprehensively reviewed HERE) round out the recent springtime releases; in two sets of shade ranges (the neutral Warm and wearable green Cool) that capture the carefree beauty of the season, these buttery shadows have excellent color payoff and substantial, crease-free lasting power. Absolutely brilliant! 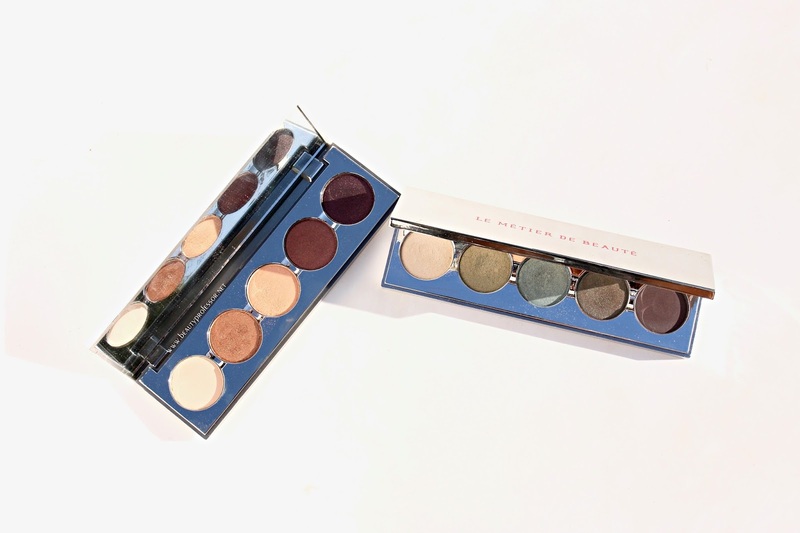 Le Métier de Beauté introduces two extraordinary eye shadow palettes designed with spring trends in mind – Haute Metals Limited Eye Colour Collection in Cool and Haute Metals Limited Eye Colour Collection in Warm. Sold individually, each palette features five superbly pigmented, ultra-refined shadows that are completely blendable and can be layered effortlessly to achieve a prismatic effect. 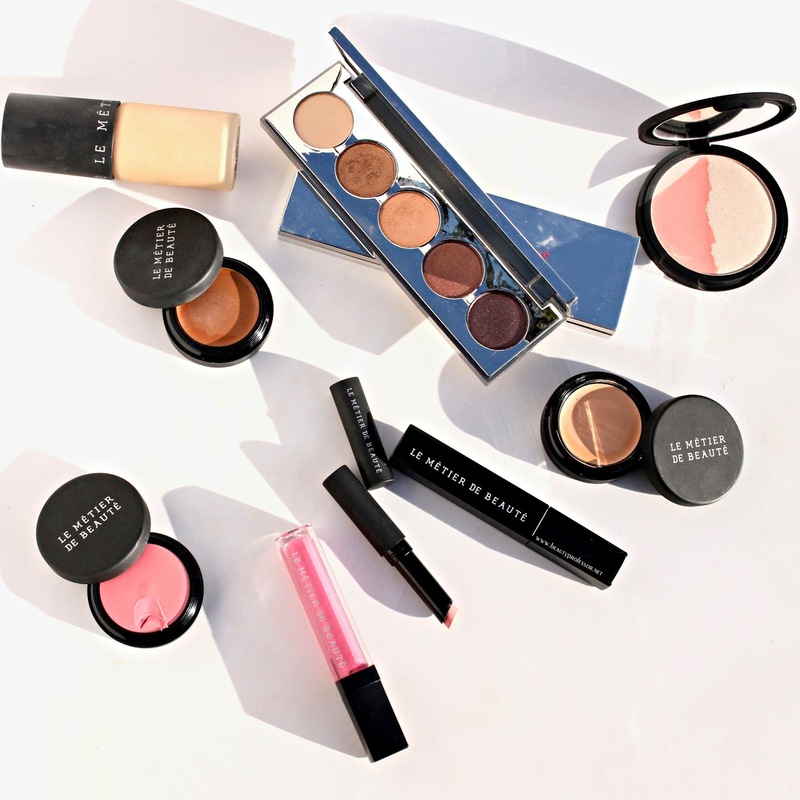 Shades are magnetized to enhance the versatility of both collections when purchased together. 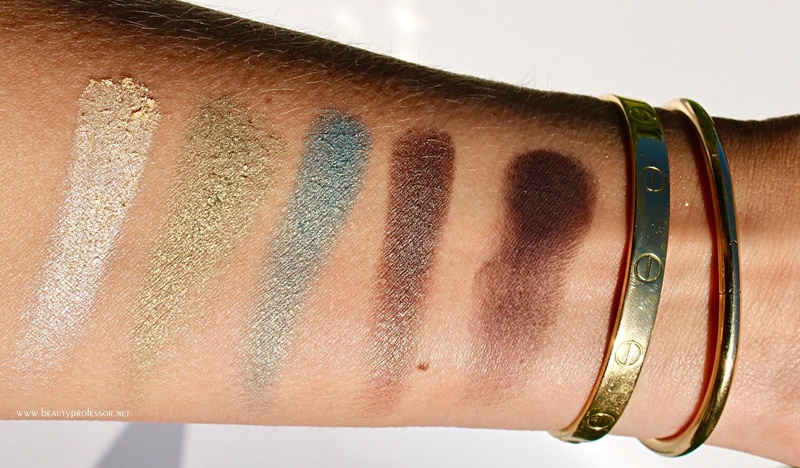 Swatches of the Cool Palette in direct sunlight. 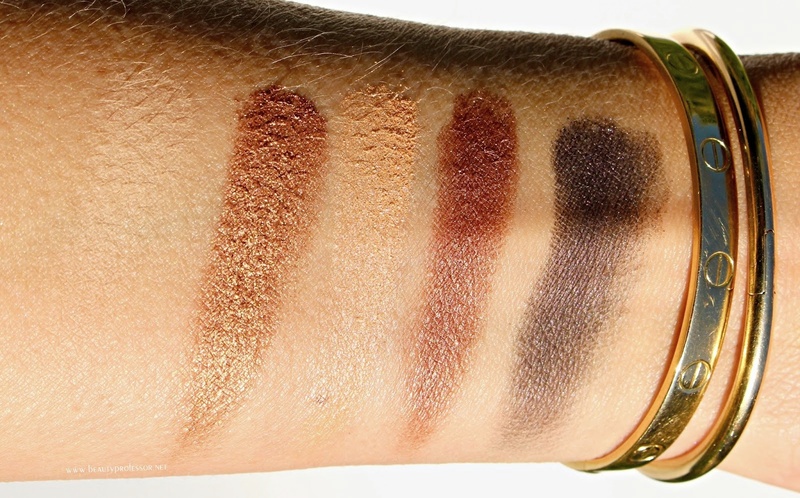 Swatches of the Warm Palette in direct sunlight. // THE COMPLETE LOOK // For an effortless springtime approach, I used warm bronzes and light pinks to highlight the complexion while still looking completely natural. 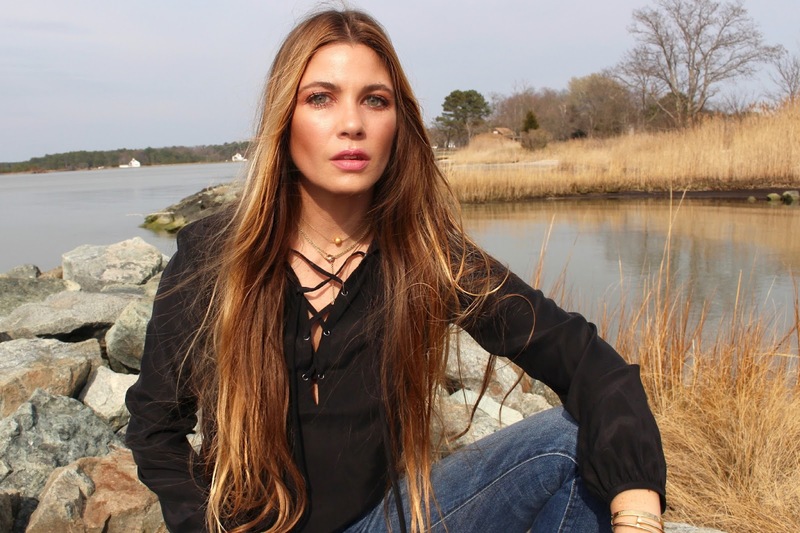 I used the Le Metier de Beaute Creme Eyeshadow Base in Multi--a rich brown--as an impromptu contour and bronzing base in the hollows of my cheeks and along the perimeters of my eyes (reviewed HERE). I love that this is such a multi-tasking gem! I used my ring finger to dab a bit of the *Le Metier de Beaute Creme Fresh Tint in Poppy--a lovely natural pink--on the apples of my cheeks for a tender glow. For the eyes, I primed the orbital area with the *Le Metier de Beaute Creme Eyeshadow Base in Creme (reviewed HERE) and then proceeded to blend a few of the bronzy shades in the *Le Metier de Beaute Haute Metals Warm Palette (reviewed HERE) up to the brow bone. For lashes, I applied two coats of the *Le Metier de Beaute Precision Lash Extreme Mascara in Chat Noir for long and full lashes with excellent definition. Finally, I applied a coat of the *Le Metier de Beaute Moisture Matte Lipstick in La Vie En Rose (reviewed HERE) and topped it with a slick of the *Lip Creme in Array (reviewed HERE) for a quintessential pink lip with plenty of dimension. 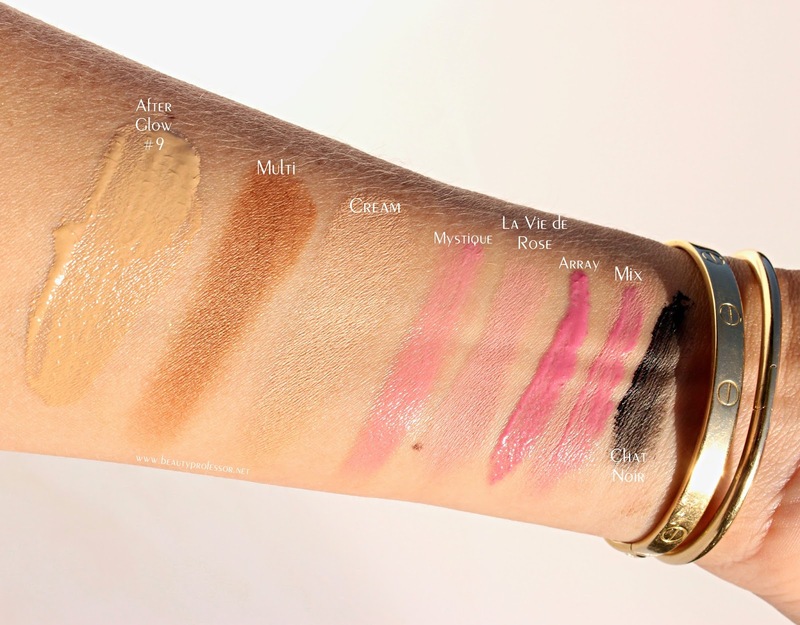 Swatches of the entire look in direct sunlight. 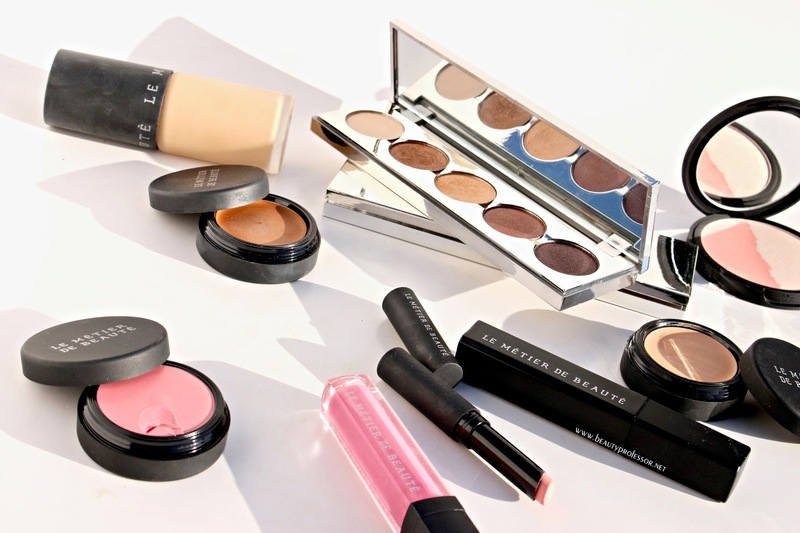 Bottom Line: I hope you enjoyed this glimpse at Le Metier de Beaute newness and would love to hear what has caught YOUR eye! Good things ahead, including an on-location story (loving Dallas) and a beauty innovations feature...in the meanwhile, have a marvelous weekend.